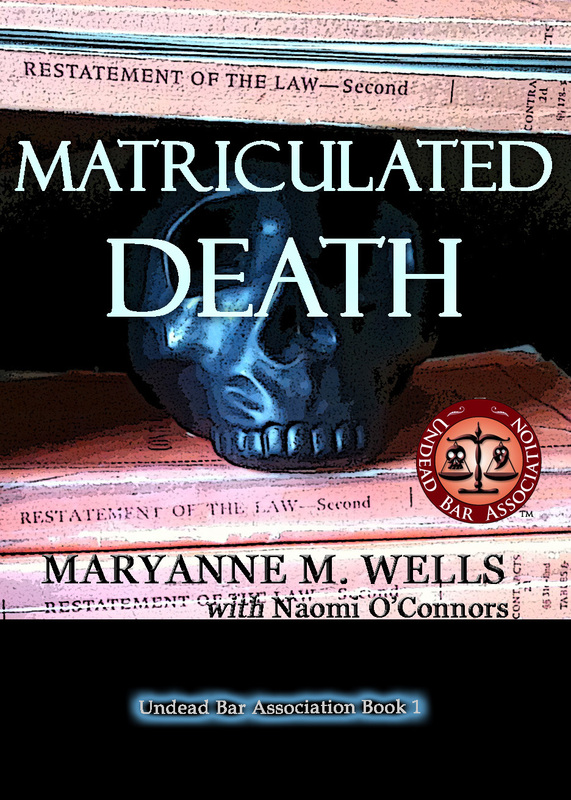 Maryanne M. Wells: Matriculated Death: Book Publish in Two Days! Matriculated Death: Book Publish in Two Days! 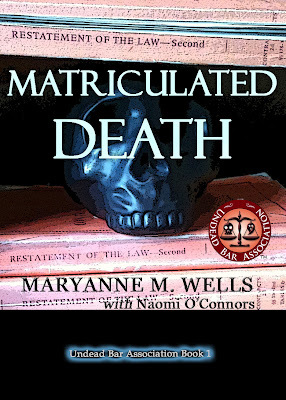 Matriculated Death publishes Wednesday, June 20, 2012. They made it into one of the nation’s top law schools. Will they make it out alive? Maryanne Wells, Texas country girl and kid genius, couldn’t wait to tackle the challenges of law school. But the academics aren’t everything she hoped they’d be. The haunted room in the law school library, though...that looks interesting. Naomi O'Connors just wanted to get a law degree and get out. Now she’s paired with Maryanne, working graveyard shifts in the library. It wouldn’t be so bad, if it wasn’t for the haunted room upstairs and the zombie-like stumblings of the law students. But now the ghost from upstairs is loose, and the zombies are real. They’re fighting for their lives and their souls against enemies from beyond the grave. With the right team, a few guns, and a lot of caffeine, they might survive. They might even live to graduate. That's the official blurb for the book. Readers of the original Undead Bar Association know there's more to it than can fit on a back cover. There's the Dean, of course, and the small matter of the damning sfi vow. There's the impending Vampire War. And there's the very flawed heroine, a woman who consistently does the wrong things for the right reasons. This is just the beginning! Book 2 will be out this November. Put some fresh batteries in your flashlights, grab a cup of coffee, and stick some extra ammo in your back jeans pocket. We're going after the things that go bump in the night.